One of the great things about running Brilliant Maps is the ability to profile brilliant, original map projects. 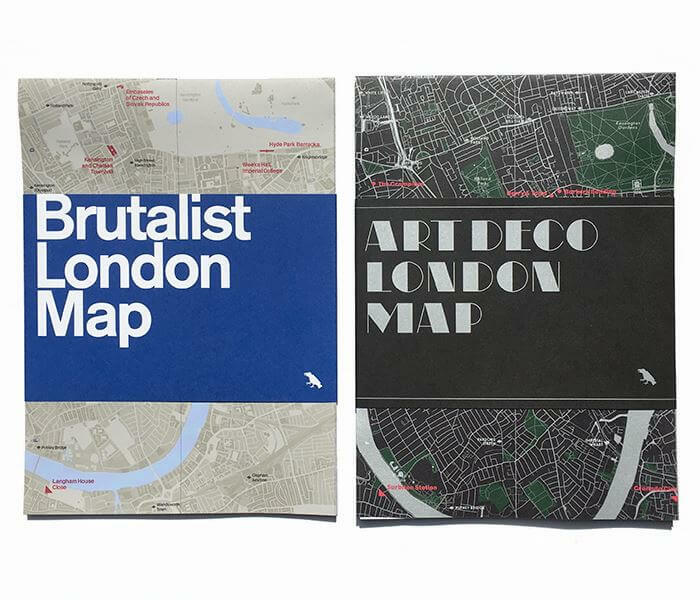 The Art Deco & Brutalist architecture maps of London by Blue Crow Media fall firmly into that category. On the front, each map shows the locations of important buildings in that architectural style. On the back there’s a short description of the architectural style, along with photos of key buildings and descriptions; including exact address, architectural firm, year(s) built and finally listed status. features over seventy leading examples of Art Deco architecture in London, from Eltham Palace to the Hoover Building. Art Deco landmarks such as Broadcasting House, 55 Broadway and Senate House are included along with Charles Holden’s finest Underground Stations and more. The reverse side of the map features an introduction to Art Deco by Henrietta Billings, photos by Simon Phipps and details about each building. 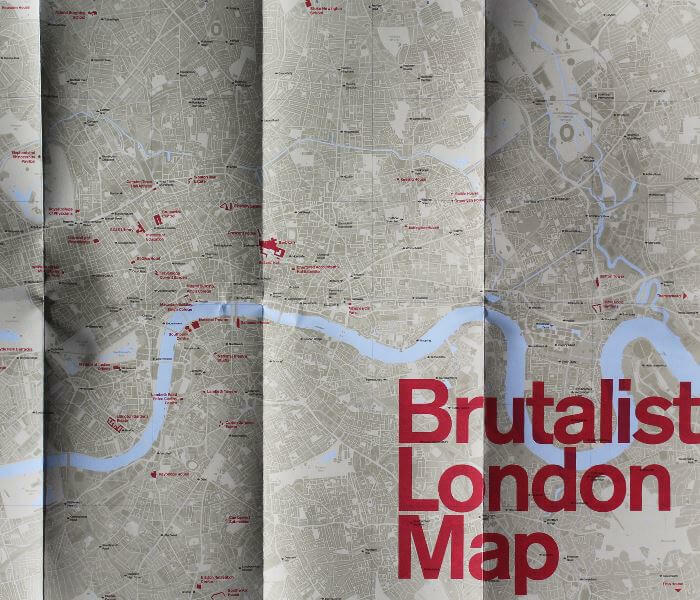 features over fifty leading examples of Brutalist architecture in London, from the Alexandra Road Estate to World’s End Housing. Celebrated Brutalist buildings such as the Trellick Tower, the Barbican and the National Theatre are included along with lesser known, yet equally influential buildings. 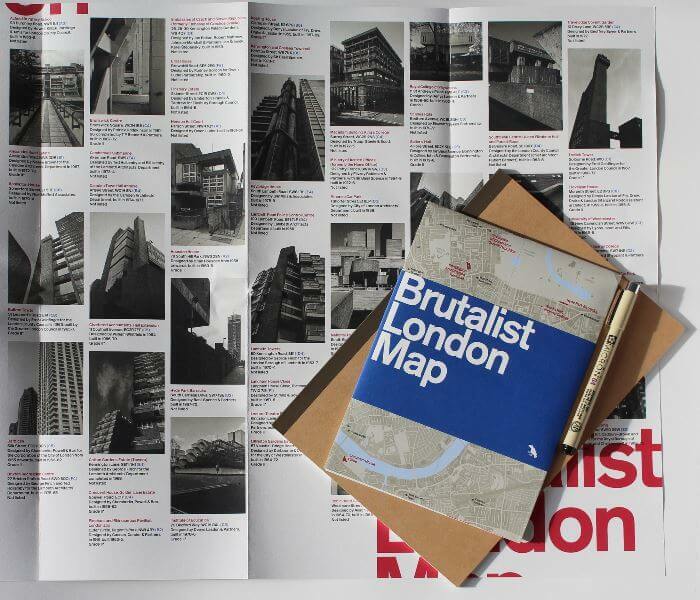 The reverse side of the map features an introduction to Brutalism by Henrietta Billings, photos by Simon Phipps and details about each building. 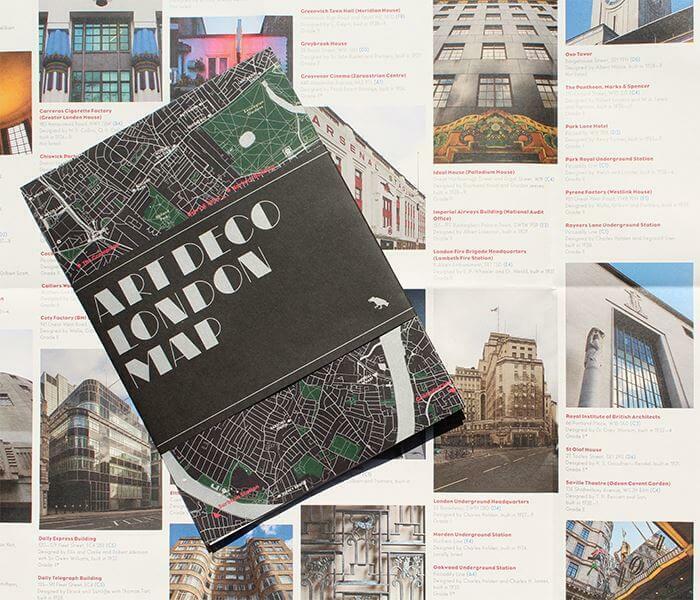 The maps are printed on very high quality paper and great for those who love London and/or those who love Art Deco and/or Brutalist architecture. The maps are just £8 each or £14.50 for both, and can be purchased from the Blue Crow Media website. Finally, if that’s not enough, they also have Constructivist Moscow Map, which is also only £8. Disclaimer: We were given sample copies of each of the three maps above by Blue Crow Media, but we really do think they’re brilliant.